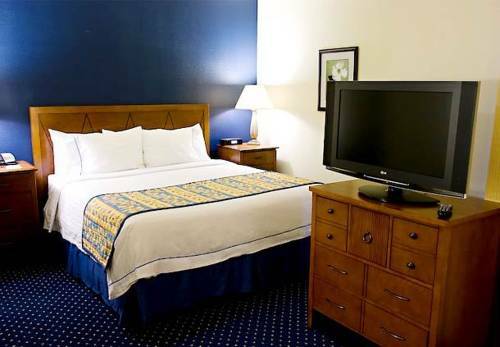 Residence Inn by Marriott is the all suite hotel that offers all the comforts of home. Our comfortable suites are 50% larger than an average hotel room. Cut cost with our complimentary amenities including full breakfast and high speed internet access. Centrally located between Los Angeles and Ventura County, just off the 101 Frwy. Easy driving access from LAX, Camarillo and Bob Hope Burbank Airport. Minutes from Farmers Insurance, Bank of America, Anthem, Dole, Teledyne and Amgen. A wide variety of dining and entertainment options are within walking distance; enjoy a fine dinner and take in a broadway show at the Thousand Oaks Civic Arts Plaza. Enjoy the Los Robles Golf Course, Ronald Reagan Presidential Library, Camarillo Premium Outlet Mall and Malibu beach just a short drive away. Just miles from Pepperdine University and California Lutheran University.